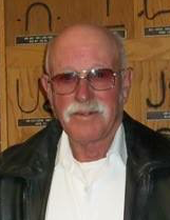 John Larkin Blackburn, 73, of Readsville passed away at his home on Friday, November 9, 2018. He was born Williamsburg, Missouri on January 31, 1945 to the late Vollie H. Blackburn and the late Lucille (Atterberry) Blackburn. On May 7, 1983, John was married to Karen (Perry) Blackburn. She preceded him in death on August 25, 2000. John retired from trucking in 1993 and began raising cattle full time. He enjoyed helping friends and neighbors however he could. He enjoyed a good laugh and was known to pull a practical joke or two. John is survived by sons, Joey Blackburn (Michelle) of Gonzales, La. ; Darrell Blackburn of Argyle, Tx; daughter, Deborah Wester (Sam) of Dallas, Tx., step-daughters, Lori Griffith (Ash) of Fulton; Deana Maurice of Rockport, Tx. ; brother, Daniel Blackburn of Portland; sister, Elizabeth Holloway of New Melle, Mo. ; 10 grandchildren and one great-grandchild. He was preceded in death by his parents; wife; sister, Virginia Blackburn; and brother, Harrison Blackburn. Funeral services will be held at 11:00 a.m. on Wednesday, November 14, 2018, at Bethel United Methodist Church in Readsville, Missouri with Pastor Mike Crowson officiating. Friends will be received from 10:00 a.m. until the time of service at the church. Burial will be in Bethel Cemetery. Memorial donations are suggested to Bethel Cemetery or Bethel Church, c/o Maupin Funeral Home, 301 Douglas Boulevard, Fulton, MO 65251. To send flowers or a remembrance gift to the family of John Larkin Blackburn, please visit our Tribute Store. "Email Address" would like to share the life celebration of John Larkin Blackburn. Click on the "link" to go to share a favorite memory or leave a condolence message for the family.